Samsung hasn't stopped impressing me in the SSD space. 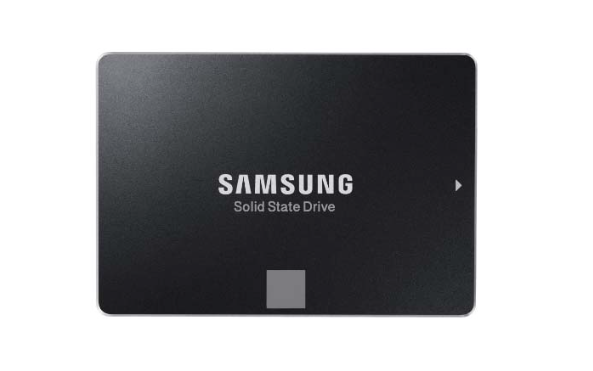 The early Samsung SSDs weren't very good, but ever since the introduction of the SSD 830 Samsung has been doing a brilliant job and has been setting the bar for performance, cost and reliability. 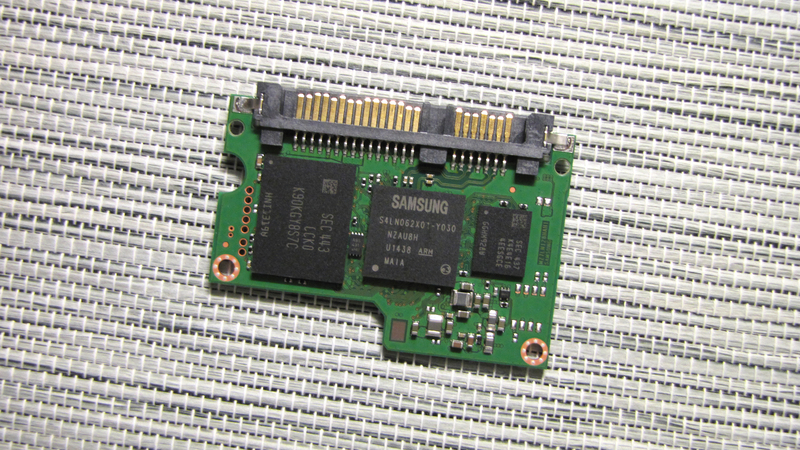 The SSD 840 specifically showed what properly executed vertical integration can really do as Samsung was the first manufacturer to utilize TLC NAND in a client SSD. It took a whopping two years before the rest of the industry was able to follow Samsung's footsteps and even today SanDisk is still the only other vendor with a TLC SSD. 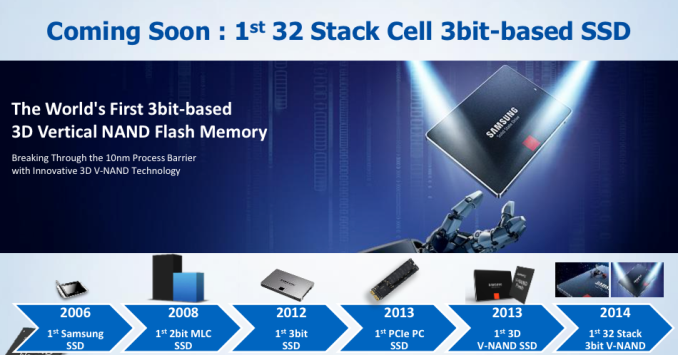 While getting an early lead on TLC NAND was a major win for Samsung and a showcase of its engineering talent, the real bombshell was dropped a year later at Flash Memory Summit 2013. For years it had been known that traditional NAND scaling would soon come to an end and that there is an alternate way of scaling in the horizon. As the first manufacturer in the world, Samsung announced that it had begun the mass production of its 128Gbit 24-layer 3D V-NAND. It took another year before V-NAND found its way into a retail product, but it acquitted all of its promises when it finally did. The SSD 850 Pro is hands down the fastest SATA SSD on the market and it's also backed up by an industry-leading warranty and endurance rating – all which is thanks to V-NAND. The SSD 850 Pro excels in performance and features, but given its high-end focus it's not a cost efficient solution for the majority of consumers. At this year's Flash Memory Summit, Samsung teased us about an upcoming TLC V-NAND SSD, which would solve the cost issue while still providing all the benefits of 3D NAND technology. The waiting is now over and the drive is (unsurprisingly) called the SSD 850 EVO. In terms of capacities the 850 EVO lineup is similar to the 840 EVO. The only difference is that the 850 EVO drops the 750GB model, which from what I've heard wasn't a very popular model and to be honest it was kind of an odd middle capacity that generally wasn't price competitive against the 500GB and 1TB models. Initially I was told that the 850 EVO would come in 2TB capacity as well, but later on Samsung opted against it due to the limited demand. Samsung has always been after the high volume markets, so I see the logic behind the decision not to release a 2TB model just yet as its price would drive most people away. The good news, however, is that Samsung has the technology to bring a 2TB drive to the market. The first hint of the capability of TLC V-NAND is the endurance ratings. The 120GB and 250GB capacities are rated at 75TB, which is fairly average, but the 500GB and 1TB models match up with the 850 Pro with their 150TB write endurance. I'll be talking a bit more about the NAND and testing its P/E cycle rating on the following pages, but it's clear that 3D NAND technology is taking TLC NAND to a whole new level in terms of endurance. Thanks to the more durable NAND, Samsung is also upping the warranty from three to five years, which is always a welcome upgrade and I think too many vendors have been fixated on three-year warranties even though NAND endurance has never been the limiting factor. In addition to the NAND, the 850 EVO sees an evolution in the controller. The 120GB, 250GB and 500GB models now come with a newer generation MGX controller, although unfortunately I have very few details as Samsung couldn't get me the information about the new controller ahead of the embargo lift. I've heard the MGX is a dual core design, whereas the MEX in the 1TB model (and 840 EVO & 850 Pro) features three ARM Cortex R4 cores. The reason behind the change is increased power efficiency and supposedly the third core isn't needed with the smaller capacities as there are less pages/blocks to track and thus NAND management requires less processing power. I'm guessing that the MGX is also manufactured with a smaller process node and the two cores run at a higher clock speed, but for now I don't have any concrete information backing that up. The 850 EVO also features the common Samsung feature set. DevSleep, hardware-accelerated encryption (TCG Opal 2.0 & IEEE-1667) and RAPID are all supported. With the 850 Pro Samsung introduced RAPID 2.0 that upped the maximum RAM allocation to 4GB (with 16GB or more RAM installed in the system) and as one would expect the 850 EVO supports the updated version of RAPID. In fact, with the release of Magician 4.5 (included on the CD that is found in the retail package), RAPID sees an update to 2.1 version, although this is merely an incremental update with enhanced error handling and fixed compatibility issues with Intel's Rapid Storage Technology drivers. The always-so-important question is the price. All modern SSDs are relatively good (especially when compared against what we had three years ago), so for the majority of buyers the key factor is the price. Lately we have seen some very aggressive pricing from the likes of Crucial and SanDisk, and I was expecting that the 850 EVO would be Samsung's answer to that. Unfortunately, the MSRPs at least are fairly high. I was told that the higher production costs of V-NAND necessitate the higher prices, which is why Samsung can't go directly against the MX100 and Ultra II, but in return Samsung offers a longer warranty, higher endurance and better performance (we will find out about the last one soon). That said, MSRPs have never been great indicators of final street prices and we may see the 850 EVO become more competitive eventually. Should be: "If I were"
But in reality what are they going to be like? I don't think I'll buy another Samsung TLC drive after owning the 120 GB 840 EVO for the last while! It performs erratically, especially when resuming from hibernate. It can take anywhere from 10 secs to boot, up to 5 minutes, and I have applied the latest firmware and run the speed recovery app from Samsung. I have an mSata Crucial m500 240GB which is slower on paper, but in reality is much quicker and the performance is 100% consistent, it does the same thing, every time at the same speed!! So I'm confused as its not very clear...Is Turbowrite turned on for all your benchmarks? Is turbowrite needed to hit the the 540/520 read/write times? I saw the chart with TurboWrite on and off. So with turbowrite off this drive only gets 100mb/s ?